The Fiber Cooperative: The Online Indie Fiber Festival – the online fiber market. Here even the most derelict fiber addict can satisfy their cravings. You’ll find some of the best fiber, yarn and accessories the indie fiber world has to offer. Exhibits rotate monthly, so the market is always fresh. It can be tough for indie fiber companies to get their names out there – we have small advertising budgets and very little time (we’d rather be creating fibery goodness). Here we come together to present our creations to shoppers who are searching for something fresh and totally unique. If you’re an indie shop interested in participating – find out more here. Found this by way of WendyKnits, Blogs thanks for the information, Wendy! 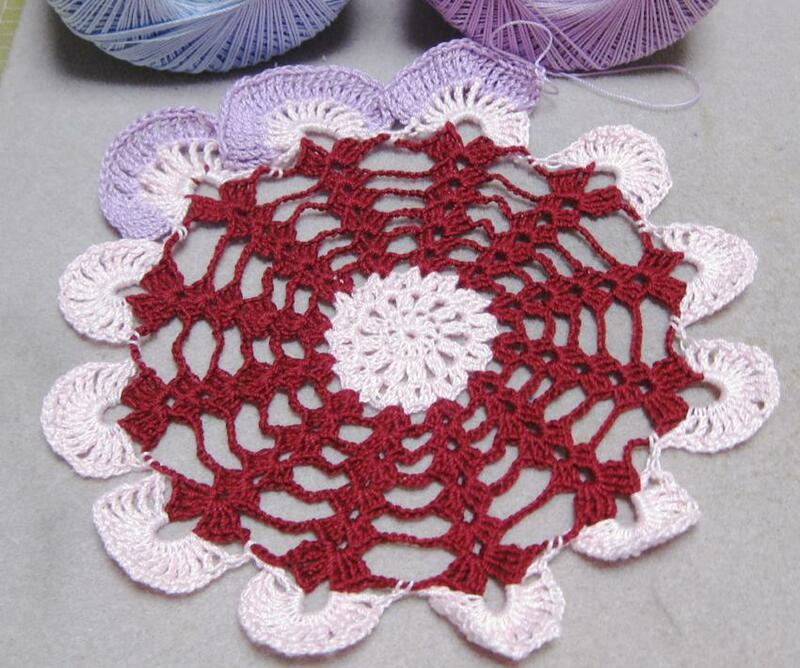 Working on a new doily: The Sea Shell Ruffle by American Thread Company.